Stranded in an airport and think your time is relegated to reading magazines, eating fast food and bad shopping? Think again. If you fly out of the following five airports, boredom will be the furthest thing from mind. Your flight was delayed. Surprise! Instead of gazing deeply into your iPad, here’s a glimpse of some of the activities and services you can keep busy with at the following airports until you finally board. From delicious eats to having your nails done, you can get it all and more while waiting for your next flight. You may be far from the hub of casino action, but the musical beeps of slot machines can be heard throughout the terminal gates at Sin City’s airport. 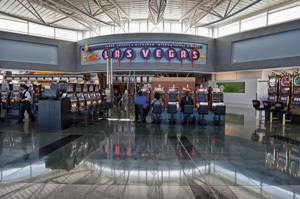 In total, there are more than 1,200 slot machines at McCarran International Airport. If gambling is not your thing, tour the airport’s diverse art displays, which include sculptures, murals and children’s art. In the town where Jimmy Choo became a household name, it should come as no surprise that shopping is synonymous with this airport. 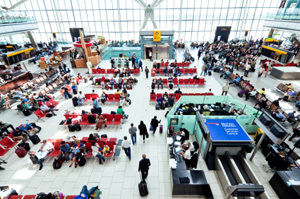 Shopping and London go so hand-in-hand that the Skytrax World Airport Awards gave Heathrow the prized Best Airport Shopping distinction in 2010. What can you expect? Top designer brands like Gucci, Dior, Bulgari and Prada — so bring your cash and credit cards. Long lines, delays and detailed airport security are common at O’Hare, but you also have tons of fabulous restaurants to nosh at before you take off. 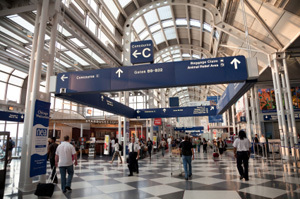 From the historic Berghoff Cafe and Billy Goat Tavern and Grill to the famed Rick Bayless’ Frontera Fresco, there is no shortage of yummy eateries at O’Hare. Your flight was delayed or even canceled? Who cares! 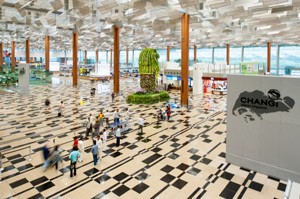 You won’t be bored at Singapore Changi Airport. From working out, getting your hair done, beauty and spa treatments (mani-pedi anyone? ), music bar lounges to swimming and even napping, you can find it all and more at this airport. 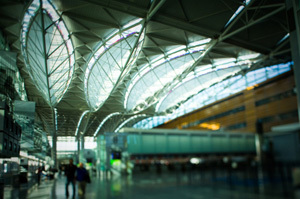 The SFO airport is the country’s only airport with a museum program recognized by the American Association of Museums. Exhibits change regularly and are featured throughout the airport. The current exhibit explores sewing during the Machine Age, while previous exhibits have focused on folk art, photos, dolls and more. Not into art? Explore California wine and food and do some souvenir shopping in all three terminals.